Scott Naturals Toilet Paper Only $0.17 per Roll Shipped! You are here: Home / Great Deals / Amazon Deals / Scott Naturals Toilet Paper Only $0.17 per Roll Shipped! We have a stock up deal on toilet paper! 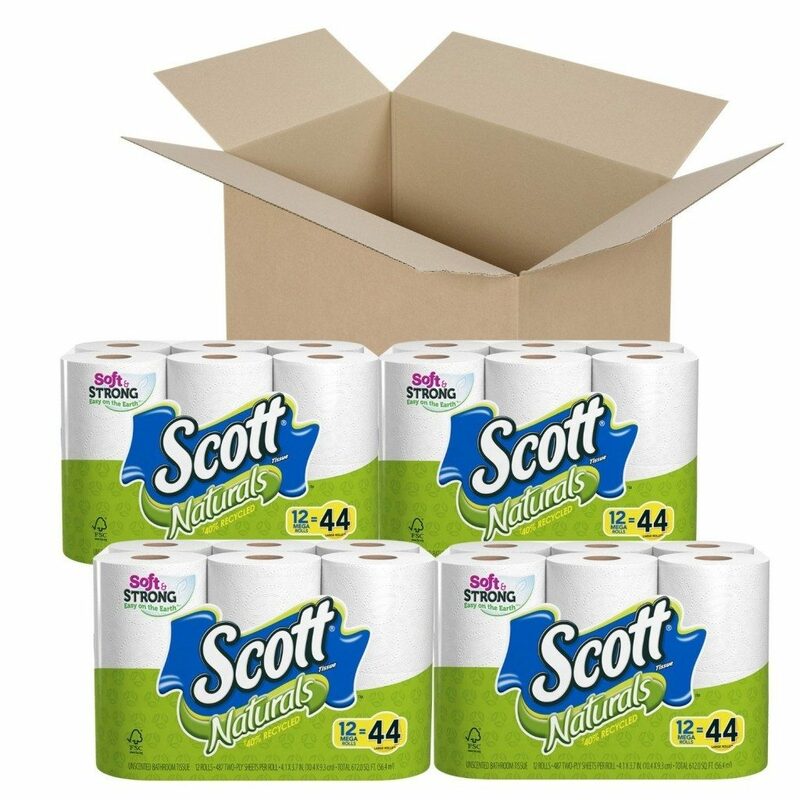 Head over to Amazon and get Scott Naturals Toilet Paper, 12 Mega Rolls (Pack of 4) for only $33.14 after you clip the $2 off coupon and select Subscribe and Save. That’s like paying just $0.19 per single roll. Or, even better, when you subscribe to 5 or more items in one month, the price will drop to $29.44 after coupon. That’s only $0.17 per single roll!